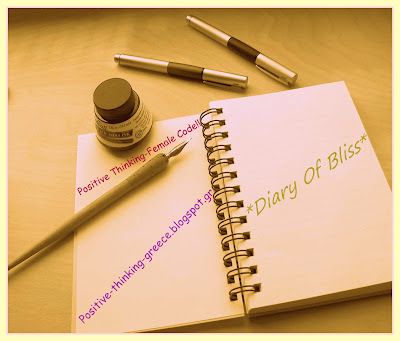 This is the fifth week of Diary of Bliss, a weekly challenge started by Katerina from http://positive-thinking-greece.blogspot.gr/ where we have to write down moments in our lives which make us happy. You can also take a look at first, second, third and fourth week’s posts. Nothing really special happened this week, but it wasn’t a bad week either. On Saturday we went to my niece’s birthday party. I always enjoy going to birthday parties because there is birthday cake. I have a sweet tooth! Another moment I enjoyed these last days was when I went to a park with my son where we rarely go and it turned out to be a paradise for him because there were other little boys of his age and they all played together. The park near our house isn’t really appropriate as it’s always crowded, not very safe and there are always older boys playing football and my son wants to play with them instead of playing with his toys. Today we went to the same park we like, but not at a good time so they were no other children, but I found this heart-shaped leaf and I managed to take it home safe! In general, the good moments lately are related to playing. My friend Delfinaki asked me to play this game where I have to say 7 dont’s. I don’t wear contact lenses, I’m scared. I don’t like the hot weather. I don’t usually take care of my every day outfits. I wear the same casual clothes all the time. I don’t have enough time to do all the things I want. I don’t like watching myself in videos. She also invited me to a question game to get to know us better. 2. In which period would you like to live? 3. Favourite female singer, actress, male singer and actor? 5. The strongest positive and negative trait of your character? 6. Do you think you are a romantic person? 9. What inspired you for your blog’s name? 1. A tropical private island, but somewhere I have more chances to go is France. I went when I was little, now I want to go there and speak French with local people. 2. I liked the 80’s when I was born, from films I have seen I like the 60’s and in general I would love to live in the old times when women wore long dresses and people rode horses. 3. My favourite singer is Anouk and actress I’m not sure, Jennifer Aniston is funny. I can’t think of a favourite male singer, but my favourite band are the Scorpions. And of course Johnny Depp is my favourite actor. 4. If I have to choose one season for the rest of my life that would be Spring. 5. The worst about my character is I am impatient and the best is that others can rely on me. 6. Yes, I am romantic. 7. Chocolate is my weakness. 8. My greatest desire… When I think of what would be the day of my life I imagine a happy Sunday morning with the whole family together in a big garden. I’ve never asked God to give me money, but if I make a lot of money I could fulfill some dreams like a big house by the sea, travelling abroad, working just for pleasure. In general, I try to make my dreams come true. 9. My husband helped me find the name. 10. What I love about blogging is talking with other girls from around the world and discover we have things in common. I like it that I have found some girls I consider as my friends. I think it would be fun if you wanted to answer these questions too so that I learn more things about you.